10 p.m., The Christmas Eucharist, Castletown Church, Kilcornan (Pallaskenry), Co Limerick. Readings: Isaiah 9: 2-7; Psalm 96; Titus 2: 11-14; Luke 2: 1-14 (15-20). Each Sunday in Advent, instead of preaching one long sermon, I have offered three short reflections: looking at the Advent Wreath and Candles; looking at the Gospel reading and our hopes for the Coming of Christ; and looking at the meaning of Santa Claus. So let us just keep that going for today, as we light the last of the Advent candles. The prayers at the Advent Wreath these Sundays have helped us to continue our themes from Mission Sunday [26 November 2017] and to connect with the projects we are supporting in Swaziland in co-operation with the Anglican mission agency, the United Society Partners in the Gospel (USPG). As we light our Advent candles in anticipation of the coming of the Christ Child, USPG is inviting us to pray for mothers and children who are served by USPG in the world church in Tanzania, Ghana, Bangladesh and Palestine. The first four candles on the Advent Wreath have recalled the Patriarchs and Matriarchs, our fathers and mothers in the faith, the Prophets, Saint John the Baptist, and the Virgin Mary. fill us with compassion for all in need today. healing and peace across the world. of Jesus Christ our Lord. May I speak to you in the name of God, + Father, Son and Holy Spirit. This evening’s Gospel reading (Luke 2: 1-14, 15-20) tells the familiar story of the first Christmas. Instead of repeating that story in a long sermon, in the second part of my three-part reflection this evening, I want to read the poem ‘Christmas’ by the former Poet Laureate, the late Sir John Betjeman (1906-1984). As I was re-reading this poem recently, I was reminded that the name Bethlehem means ‘House of Bread’ in Hebrew (בֵּית לֶחֶם‎ , Bēṯ Leḥem) and ‘House of Flesh’ in Arabic (بيت لحم‎ , Bayt Laḥm). It is a beautiful coincidence, for on this Christmas night God becomes present in Christ for us in the Incarnation in Bethlehem and in the bread in the Eucharist. Betjeman’s poems are often humorous, his wry comic verse marked by satirical but graceful observations. He enjoyed railways, beaches, the company of impoverished Irish peers, and old churches too, including the churches of the Church Ireland. His poetry continually seeks out intimations of the eternal in the ordinary. During World War II, he was posted to Dublin in 1941 as press attaché to Sir John Maffey (later Lord Rugby), the British High Commissioner (de facto ambassador) in Ireland. In Dublin, the Betjemans lived at Collinstown House in Clondalkin from 1941 to 1943, and were parishioners and registered vestry members in Saint John’s Parish, Clondalkin, where he regularly read the Lessons. During those years in Ireland, he also became friends with the poet Patrick Kavanagh. After the death of Cecil Day Lewis, Betjeman was appointed Poet Laureate in 1972. He died in 1984; he was 77. From Crimson Lake to Hookers Green. ‘The church looks nice’ on Christmas Day. Says ‘Merry Christmas to you all’. And sleepless children’s hearts are glad. Safe in the Dorchester Hotel. A Baby in an ox’s stall? Become a Child on earth for me? And lives today in Bread and Wine. 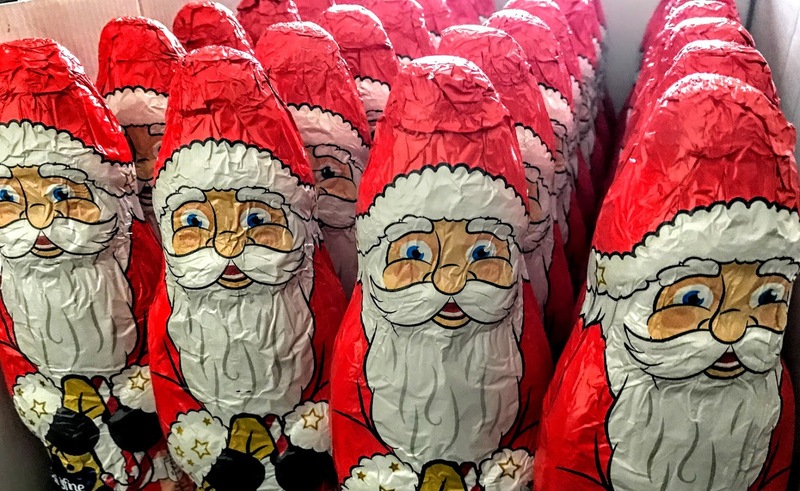 Each Sunday in Advent, I was telling a different story about Saint Nicholas of Myra, the real Santa Claus, and why he is important, why he should be rescued from commercialism and Coca Cola, for the Church and Christmas. So, as we are all eagerly waiting Santa’s arrival tonight, my closing short story is about why the story of Saint Nicholas has one key link to why we celebrate Christmas at all. In the year 325, the Emperor Constantine called the Council of Nicaea, the first ecumenical council of the Church. More than 300 bishops throughout the Christian world attended and debated the nature of the Holy Trinity. It was one of the most intense theological questions for the early Church. Arius, a priest from Alexandria in Egypt, was teaching that Jesus was the Son of God, but not God incarnate and not equal in divinity to God the Father; similar to God, but not the same as God. Arius forcefully argued his position at length, and the bishops listened respectfully. But as Arius pushed his contentious views, Saint Nicholas, who was present as Bishop of Myra, became more and more agitated. Obviously, Arius was on his naughty list rather than his nice list. Finally, Nicholas could no longer stand it that what he believed was essential to the faith was being attacked. The enraged Nicholas stood up, crossed the room, and slapped Arius across the face! The mediaeval accounts have Nicholas slapping – not punching – the heretic. The stories use the word ράπισμα for a medicinal slap or a rebuke, an attempt to ‘slap him back to his senses’ rather than an expression of contempt or wilful intention to harm. The bishops were shocked and could not believe a bishop could be so hot-headed to lose control in such a solemn assembly. In other words, they were more enraged by the behaviour of Nicholas than the heresy of Arius. They brought Bishop Nicholas before the Emperor Constantine. They then stripped Nicholas of his bishop’s garments, chained him, and threw him in prison. That would keep Nicholas away from the meeting. When the Council ended, a final decision would be made about his future. ‘Because I love you, my Lord and my God,’ Nicholas replied. Christ then gave the Book of the Gospels to Nicholas, and the Virgin Mary gave him a new robe so that he was dressed once again as a bishop. Nicholas, now at peace, stayed awake in his prison cell, studying the Bible for the rest of the night. When the jailer came in the morning, he found the chains loose on the floor and Nicholas robed as bishop, quietly reading the Gospel. When Constantine was told of this, the emperor asked that Nicholas be freed, and Nicholas was then fully reinstated as the Bishop of Myra. He returned to his place at the Council of Nicaea, and there the bishops agreed with Nicholas’s views, deciding the question against Arius. The work of the Council produced the Nicene Creed, which to this day we stand and declare before we celebrate the Eucharist together. The Council of Nicaea decided our theological understanding of the Holy Trinity and of the Incarnation. Had Arius won the day, we might be marking today as just the birth of another Biblical prophet. Thanks to Saint Nicholas, the original Santa Claus, the Church celebrates today as Christmas Day, the day on which God took flesh, when Christ was born, truly God and truly human. And that’s the best present of all that Santa could bring us on this holy night. (Revd Canon Professor) Patrick Comerford is Priest-in-Charge, the Rathkeale and Kilnaughtin Group of Parishes. This sermon was prepared for the Christmas Eve Eucharist on 24 December 2017.
to see the radiance of your heavenly glory; through Jesus Christ our Lord. you are the creator of the world. and came to dwell among us. and Christ the Morning Star rises in our hearts. To him be glory both now and for ever. 8 p.m., The Christmas Eucharist, Saint Brendan’s Church, Kilnaughtin (Tarbert), Co Kerry. As I was re-reading this poem recently, I was reminded that the name Bethlehem means ‘House of Bread’ in Hebrew (בֵּית לֶחֶם‎, Bēṯ Leḥem) and ‘House of Flesh’ in Arabic (بيت لحم‎, Bayt Laḥm). It is a beautiful coincidence, for on this Christmas night God becomes present in Christ for us in the Incarnation in Bethlehem and in the bread in the Eucharist. The Fourth Sunday of Advent. 11 a.m., The Parish Eucharist, Holy Trinity Church, Rathkeale, Co Limerick. Readings: II Samuel 7: 1-11, 16; the Canticle Magnificat; Romans 16: 25-27; Luke 1: 26-38. During these Sundays in Advent, instead of preaching one long sermon, I have been offering three short reflections: looking at the Advent Wreath and Candles; looking at the Gospel reading and our hopes for the Coming of Christ; and looking at the meaning of Santa Claus. On the first Sunday of Advent [3 December 2017], we heard Saint Mark’s account of the Coming of the Son of Man (Mark 13: 24-37). On the second Sunday [10 December 2017], we read the beginning of his Gospel (Mark 1: 1-8). Last Sunday [17 December 2017], we skipped over to Saint John’s Gospel, and his account of the Baptism of Christ by Saint John in the River Jordan (John 1: 6-8, 19-28). 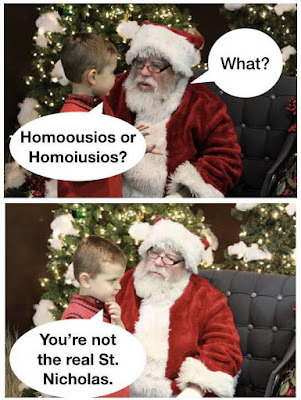 But there is no Christmas story in either Saint Mark’s Gospel or Saint John’s Gospel. Instead, this morning, we change to Saint Luke’s Gospel to hear the story of the Annunciation (Luke 1: 26-38). The prayers at the Advent Wreath on these Sundays help us to continue our themes from the Sunday before Advent [26 November 2017], which we marked in these dioceses as Mission Sunday, supporting projects in Swaziland in co-operation with the Anglican mission agency, the United Society Partners in the Gospel (USPG). The first candle on the Advent Wreath was the Purple Candle recalling the Patriarchs and Matriarchs, our fathers and mothers in the faith, like Abraham and Sarah, and so on. The second purple candle represents the Prophets. The third, pink candle, which we lit last Sunday, represents Saint John the Baptist. This morning’s fourth, purple candle represents the Virgin Mary, and she is the theme of our readings and some of our hymns and prayers this morning. who today live with restrictions and violence. regardless of race, religion or financial status. This morning’s Gospel reading (Luke 1: 26-38) brings us back nine months to the story of the Annunciation, which is celebrated on 25 March. We have the same Gospel reading again, almost nine months later, because the action initiating Christ’s Incarnation is so significant as we prepare to celebrate that Incarnation. We might think she was perplexed, to say the least. She has been told she is to have a child, who would be called Son of God, and who would receive the throne of David. ‘How can this be?’ she asks. And well she might ask. She might well wonder how she is going to survive a full nine months until this baby is born, once her father, her family, her friends and her village hear she is pregnant. Some years ago, in the weeks before Christmas, both the BBC and the Guardian reported, how there has been a frightening increase in ‘honour killings’ in Britain. At the time, the topic also provided a story line in EastEnders. So-called ‘honour killings’ were frequent too at the time of the first Christmas. A woman who was violated by a man – even against her will – could be killed, usually by her father or brother, so the conceived child would bring no further shame to the family. The newly-betrothed Joseph would know he is not the father of the Virgin Mary’s baby. If a man and a woman who were betrothed to each other and then moved in with one other, and the village knew it, they were then considered to be married. This, and not some religious ceremony, marks the occasion, and the engagement now becomes a marriage in common law. Should Joseph intend to stay with Mary, then he has to protect her and protect himself by acknowledging the child as his. On the other hand, if he does not acknowledge the child, and Mary’s pregnancy becomes known and her father or brothers do not kill her, then the law of the time demanded the death penalty both for her and for the man – if he is known too – who has stolen Joseph’s betrothed and made her pregnant. And, of course, if the child’s true identity is truly known, there are others who would like to ensure that Mary does not complete her full term of pregnancy. Herod the Great would not be very happy with another claimant to David’s throne arriving on the scene. If the Roman authorities realise this child is going to be honoured as the ‘Son of God,’ they too would have to take action. This is a title used for the Roman Emperors; any usurper or pretender is likely to end up on a cross rather than on a throne. and sent the rich away empty. – Luke 1: 52-53. In our world today, despite financial and economic problems and banking and trading scandals, are the proud and the powerful still on their thrones? Looking at last week’s RTÉ programme on the housing and homelessness crisis, are the lowly still waiting to be lifted up? Are the hungry waiting to be filled with good things? Do the rich still walk away with all they want? What are the promises of this Advent, of every Advent, of the coming Kingdom? What are the promises and prospects for a child who is born among us this Christmas? We live in a world where the survival chances of a child depend not just on attitudes to ‘honour killings,’ but even more so on the financial and economic climates where mothers live. The statistics on homeless children in Ireland this Christmas are a frightening condemnation of our society’s true priorities. Estimates in the past week say 3,194 children are being housed in unfit accommodation in Ireland this Christmas. How is Santa going to find them? The American blogger and theologian Sarah Dylan Breuer points out that in this world, one more child dies every three seconds from extreme poverty; 300 children die during an average Sunday sermon in an Anglican church; and 1,600 children die during each celebration of the Eucharist. We too may ponder these things in our hearts. But having pondered them, what do we say about them in this Christmas? We too are called to bring the Good News of freedom to the prisoners and those confined to refugee camps, food for the hungry, dignity for those who are the lowly. We too are called to do that not just in words or song, but like the Virgin Mary, by giving flesh to God’s hope, God’s peace, God’s justice, and God’s love for the world. 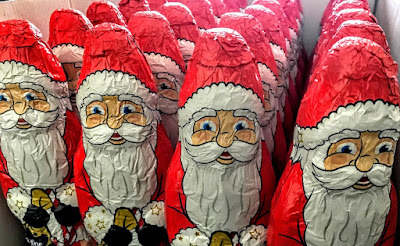 Each Sunday during Advent, I am telling a different story about Saint Nicholas of Myra, the real Santa Claus, and why he is important, why he should be rescued from commercialism and Coca Cola, for the Church and Christmas. 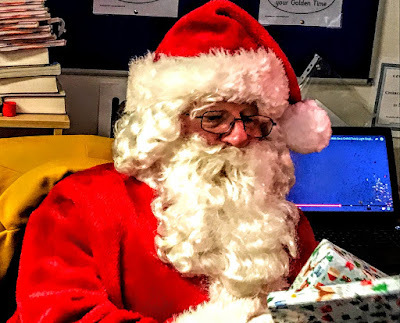 So, as we are all eagerly waiting Santa’s arrival tonight, I want to share some short stories about why Saint Nicholas is traditionally associated with giving presents to children at Christmas time. One story tells of a poor man with three daughters. In those days a young woman’s father had to offer prospective husbands something of value, a dowry. The larger the dowry, the better the chance a young woman had of finding what her family would regard as a good husband. Without a dowry, a woman might never get married. Without dowries, this poor man’s daughters were in danger of being sold into slavery, becoming the victims of human trafficking. Mysteriously, on three separate occasions, a bag of gold appeared in their home, providing the three needed dowries. The bags of gold were thrown through an open window, and somehow managed to land in stockings or shoes left out to dry before the fire. You can see the parallels between this legend and the backstory to our Gospel story this morning, the story of the Annunciation. What might have been turned into another horror story has been rescued through God’s generosity, and our concern for people who are trafficked and exploited is at the heart of Gospel values. This led to the custom of children hanging stockings or putting out shoes, eagerly awaiting gifts from Saint Nicholas. Sometimes the story is told with gold balls instead of bags of gold. This is why three gold balls, sometimes represented as oranges, are among the symbols for Saint Nicholas, the gift-giver. Sadly, these three gold balls also signify pawnbrokers, which I imagine many poor people find they have to resort to this Christmas. I hope Santa is generous to all, adults and children alike, tonight. Tomorrow we are going to celebrate the greatest gift of all, God’s gift of the Christ Child at Christmas. (Revd Canon Professor) Patrick Comerford is Priest-in-Charge, the Rathkeale and Kilnaughtin Group of Parishes. This sermon was prepared for the Fourth Sunday of Advent, 24 December 2017.
you have given us a pledge of eternal redemption. 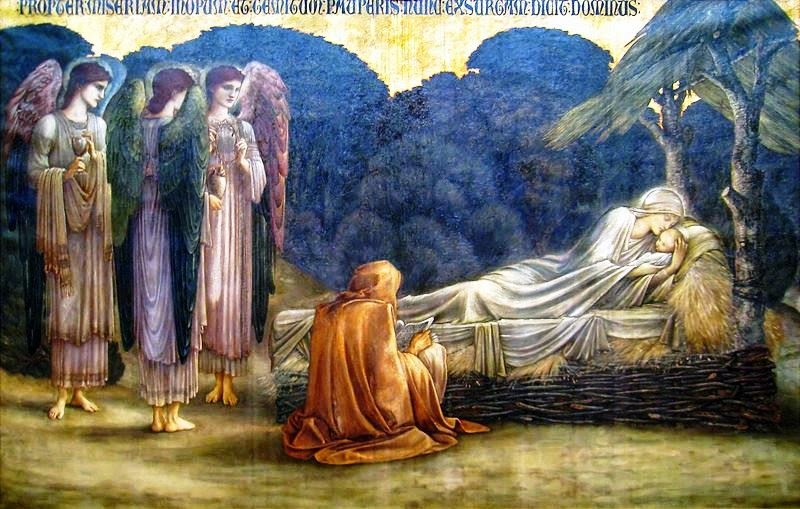 the saving mystery of the incarnation of your Son. your Son Jesus Christ our Lord. Today is the Fourth Sunday of Advent, this evening is Christmas Eve. We have come to the end of Advent, and tomorrow is Christmas Day. This morning I am presiding at and preaching at the Parish Eucharist at 11 a.m. in Holy Trinity Church, Rathkeale, Co Limerick. This is a united service for the Rathkeale and Kilnaughtin Group of Parishes. Later this evening, I am presiding at and preaching at the Christmas Eucharist at 8 p.m. in Saint Brendan’s Church, Kilnaughtin (Tarbert), Co Kerry, and at 10 p.m. in Castletown Church, Kilcornan (Pallaskenry), Co Limerick. Tomorrow morning, on Christmas Day, I am presiding at and preaching at the Christmas Eucharist at 9.30 a.m. in Saint Mary’s Church, Askeaton, and at 11 a.m. in Holy Trinity Church, Rathkeale. Throughout this season of Advent, I have been spending a short time of prayer and reflection each morning, using the prayer diary of the Anglican mission agency, USPG (United Society Partners in the Gospel) and the Advent and Christmas Devotional Calendar from Lichfield Cathedral. St Luke’s Hospital has been serving its local community with love and care since its inception in 1900. The hospital operates in a non-commercial manner to provide medical care for all who are in need, regardless of race, religion or financial status, reaching a local population of almost 200,000, with around 9,000 patients treated each year. Our aim is to demonstrate God’s love in action by alleviating suffering, supporting the poor, and comforting the bereaved. Nadia, 25, from Ballata village, had a traffic accident during her eighth month of pregnancy, which led to an early delivery of her baby Ammar by caesarean. But Ammar, being so premature, was struggling to breathe, so Nadia brought her baby to St Luke’s for urgent treatment. Mother and baby stayed for two weeks until Ammar had sufficiently improved and could be discharged. Nadia is a Palestinian whose family struggles financially because her husband earns very little as a daily-paid worker. So Nadia’s medical fees were reduced to a minimum – and she expressed her deepest thanks to the hospital for her care, for paying the costs, and for giving smiles to her family by hanging balloons in her ward. Lord Jesus, mother Mary carried you in an occupied land. As we light our Advent candles in anticipation of the coming of the Christ Child, USPG is inviting us to pray for mothers and children who are served by the USPG in the world church in Tanzania, Ghana, Bangladesh and Palestine. The first candle on the Advent Wreath was the Purple Candle recalling the Patriarchs and Matriarchs, our fathers and mothers in the faith, like Abraham and Sarah, and so on. The second purple candle represents the Prophets. The third, pink candle, which we lit last Sunday, represents Saint John the Baptist. This morning’s fourth purple candle represents the Virgin Mary, and she is the theme of our readings and some of our hymns and prayers this morning. Today, the calendar suggests reading Isaiah 11: 1-9. As we begin the festivities, we remember the peace and joy God wants for us and his world. Offer yourself again so that he can reign in your life. II Samuel 7: 1-11, 16; the Canticle Magnificat or Psalm 89: 1-4, 19-26; Romans 16: 25-27; Luke 1: 26-38.
whose day draws near, your Son Jesus Christ our Lord. Amen.